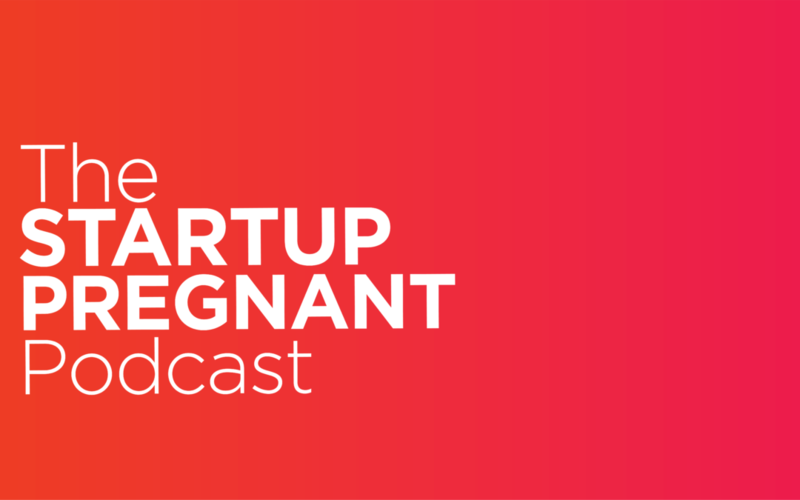 The Startup Pregnant Podcast is now live! You can listen to it on iTunes, Stitcher, or on Google Play. It is my biggest hope that you enjoy it and that it sparks deeper conversations and connections, more than I can even imagine. But first: I’ll confess I had this bad dream last night, as is part of putting big scary goals out into the universe. I was up late loading the last of the episodes to ship onto iTunes, and my dreams were filled by people writing in and leaving terrible reviews on iTunes. Classic impostor syndrome. For the better part of the last year, I’ve been interviewing women about their stories in entrepreneurship, tech, leadership, and parenting. We gathered sponsors in early April and started recording episodes in June. Over the summer, we recorded the first ten episodes, researched and studied the stories of some truly fascinating women, brought on a sound editor, and started piecing together the show. On Monday this week, we submitted our show to iTunes for the review and approval process. We also submitted to Stitcher and Google Play. Late last night, all three of them approved our show and we are so excited to say that the show is live! Motherhood, fatherhood, parenting, startups, and entrepreneurship are similar in so many ways, and this show gives us a chance to learn from these profound life-transforming journeys. We ask deep human questions around what it means to become a parent, grow a business, deal with success, and learn from failure. This podcast is like the mentor or older sister you wish you had, showing you stories of what’s been done before, and dreaming up the future with new ways to envision work, careers, and families. Listen to it wherever you listen to podcasts! We’re currently on three media players, and working to bring the show to I Heart Radio next in the next few months. You can also find all of the episodes here on this website, with complete show notes, in the main menu above under “podcast,” and we’ll be posting new weekly episodes to our blog every Friday. 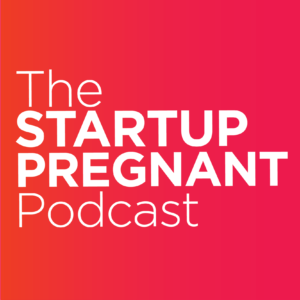 Startup Pregnant isn’t strictly about startups and pregnancy, although we cover both frequently. At a deeper level, it’s about the deep-rooted power that growing businesses and babies taps into, and how we change as people, professionals, and parents, as a result. In the podcast, we take you behind-the-scenes in the lives of women both throughout the journey into pregnancy, birth, and parenting and the journey into entrepreneurship, business, and the startup world. From bootstrapping success rates to high speed growth, to birth stories, pregnancy struggles and maternity leave, we hear from highly successful women (and coparents and fathers) about the growing pains and collective wisdom in bringing new creations—whether businesses or children or both— to life. Throughout both “Startup” and “Pregnant,” lenses, we look at what it means to undergo these profound internal transformations that come with creating new things from scratch. Through personal narratives and stories, we guide a larger conversation about femininity, energy, creativity, and leadership. Transformation isn’t easy, in fact, it’s often painful, but it’s one of the most beautiful parts of being a human. There isn’t one narrative for success: the show’s widely varying guests remind us that there isn’t just one story or one path to make your way in this world. How to help us with the show launch: click subscribe, leave a review, and tell your friends about it. In these first early days of launching a show, we’re looking for people who can hit “subscribe” and leave a review within the first few days and weeks of our launch. If a critical mass of people hits subscribe in the first week, we’ll have a chance at hitting iTunes’ “New and Noteworthy” section and reaching a bigger audience. That means that every ‘subscribe’ counts and each review is so important in these early weeks! Then, tell your friends! Listen to the first few episodes, tell us what you think, and share the stories with your friends and parents you know that might love to listen in. We work with great companies and individuals to bring this show to life. You can support us through a $4 per month “coffee” contribution or sponsor entire episodes.Some of our earliest supporters and backers include: Taskerly and Aeroflow Breastpumps, our first Master Patrons, and MeetEdgar and Fastrope Lab, our first Podcast Monthly Show Sponsors! If you’d like to become a sponsor, head to our Patreon page to find out how to become a backer of the show. Over to you: What questions do you have about launching a podcast? What are you looking forward to hearing on the show? Leave a note in the comments!